The Lenovo T series is one of the best lines of laptops ever made. I personally owned one several years back (a T41) and I loved it. Over they years they haven’t made any revolutionary changes or revised the purpose of the line. T series laptops remain functional, light, durable products built for serious business. Recently Lenovo celebrated their 60 millionth ThinkPad sale by introducing Nvidia Optimus to the T series, including the most exotic laptop of the line – the slim T410s. 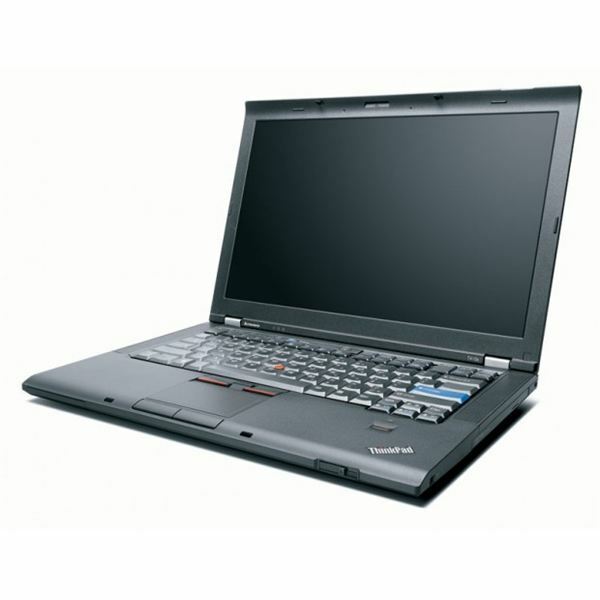 When equipped with Optimus, the T410s comes in at about $1600. That’s a lot of dough – is it worth the price? Slim is the best way to describe the T410s. This laptop packs a 14 inch display, so in terms of width and depth it isn’t exceptionally small. It is less than an inch thick, however, and as a result it weighs less than four pounds. 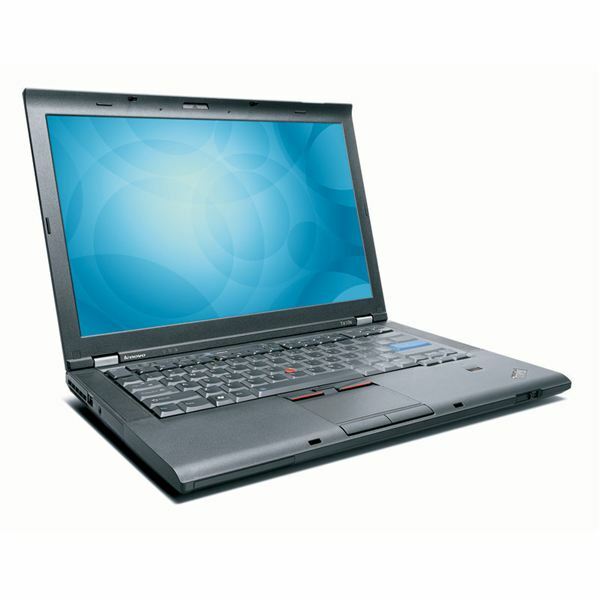 Despite the slim frame, the overall design of the T410s is classic ThinkPad. Everything is clad in matte black materials. The lid is attached by two sturdy silver metal hinges, and you can’t even open the laptop without first unhooking a latch on the front. There is some slight flex in the frame around the DVD drive, which is unfortunate, but it isn’t unexpected given the thin profile of this laptop. The keyboard is great, as is typical of ThinkPad laptops. It offers beveled keys that are large and easy to distinguish from each other. The function key is still in an unusual position, but ThinkPad users will have likely learned to tolerate this feature. In the middle of the keyboard you’ll find the trackpointer, a small red device you can nudge in different directions to control the mouse. The T410s also has a traditional trackpad complete with its own pair of mouse buttons, but the laptop’s design clearly gives preference to use of the trackpointer. The buttons built for use with it are larger and feel more durable. The Lenovo ThinkPad T410s has a 14" display with a resolution of 1440×900. This is higher than the standard resolution of 1366×768 found on most laptops between 11.6" and 15.6" and the extra pixels are nice to have. The display has a matte coating which, unlike the gloss coating found on most laptop displays, does not reflect light. This, combined with a bright backlight, makes the T410s usable even in direct sunlight. The matte coating does have a negative impact on image quality, however. Movies and games have a washed-out appearance and dark scenes are difficult to view because of poor black levels. Entertainment was clearly not a priority during the selection of the speakers found on the T410s. Tracks sound consistently flat and tend to overwhelm the speakers as raise the volume, causing nasty distortion. However, the speakers are reasonably loud and work fine with simple audio, such as podcasts. Throwing the Lenovo ThinkPad T410s into a bag and hitting the road isn’t difficult. The laptop is slim and lightweight, and although a 14" display isn’t considered small it this laptop will still fit easily into any bag that isn’t specifically designed for a netbook. However, there is trade-off with battery life. In order to maintain its super-slim frame and low weight the T410s has to make do with an extremely slim 6-cell battery with a 44Wh rating. Combine this with a powerful Core i5 processor and you have a recipe for short battery life. The fact that the T410s manages to last about three hours during light usage with WiFi on is impressive considering the size of the battery, but it rains on this laptop’s portability parade. Yes, you can throw the T410s into your bag for a flight – but you may have to ratio out your usage once you board. The ports on the T410s aren’t bad. You’ll find two USB ports, a USB/eSATA combo port, a combo headphone/mic jack, DisplayPort, an Ethernet jack and VGA out. The lack of HDMI is a definite knock against the laptop for home users, but probably won’t be a huge issue for the target audience of business travelers. The specifications of the Lenovo ThinkPad T410s are killer. It offers a Core i5 processor clocked at 2.66 GHz, a solid state hard drive, and Nvidia NVS graphics (equivalent to the Nvidia 310M). For a machine of this size these specifications are powerful, and the performance of the T410s was appropriately quick. The PCMark Vantage scores do need to be qualified, because PCMark Vantage really doesn’t deal well with solid state hard drives. It provides incredibly high scores to machines equipped with them in some benchmarks, and this tends to skew the results. Still, the Lenovo ThinkPad T410s is a powerful laptop, and it feels subjectively quick. Most tasks complete quickly and programs open in the blink of an eye thanks to the solid state drive. The Lenovo ThinkPad T410s is a great laptop that is handicapped by a small battery. The inclusion of Nvidia Optimus hasn’t done anything to change that, which isn’t surprising – previous models with Intel integrated graphics were already known for having short battery life. Short battery life isn’t the end of the world. Most laptop users are fine with just three hours of battery life. However, considering this laptop’s size and weight, the small battery does put a damper on the product. Normally it would be possible to fix this problem with an oversized battery, but the T410s actually mounts the battery at the front of the laptop, so this typical fix isn’t possible. Personally, I would buy the T410 instead. However, the fact that the T410s is focused on a niche market doesn’t mean it isn’t a well-built, well-designed laptop. The T410s is worthy of the T series name, and it’s a good choice for anyone who wants a lightweight laptop that is also extremely powerful.